A Felda man has been arrested for manslaughter after a crash at State Rd. 29 and State Rd 82 Saturday. Alfonso Vasquez, 26, faces one count of DUI Manslaughter, three counts of DUI Serious Injury, three counts of No Driver’s License Involving Serious Injury and one count of No Driver’s License Involving Death. Vasquez was driving a Dodge on SR-29 and SR-82 when it rear-ended an International Truck. 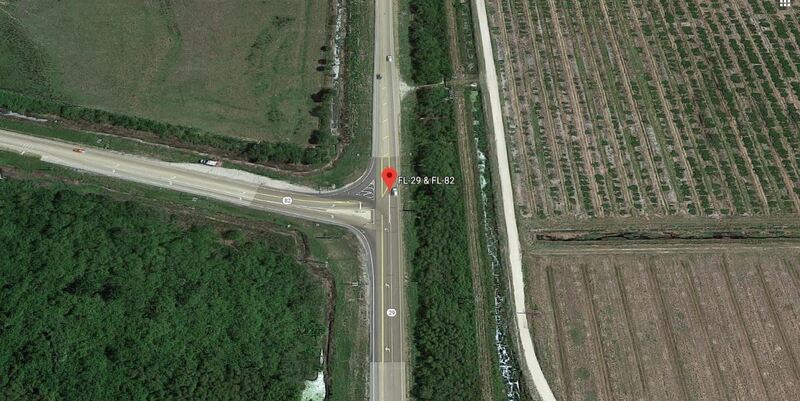 The collision resulted in the death of a Dodge passenger, Benito Rojas, 27, per the Florida Highway Patrol press release. Other passengers in the Dodge, Elia Cervantes, 27, Minerva Ramirez, 24 and Marcilino Narciso Gonzalez, 23, were seriously injured. They have been sent to Lee Memorial Hospital. Vasquez, who sustained a severe injury and was transported to Lee Memorial Hospital, was released Monday afternoon and was arrested. Vasquez has been transported to Lee County Jail.